Tibet overland tour connects two old capital cities, Lhasa in Tibet and Kathmandu in Nepal. The tour begins in Lhasa and ends in Kathmandu. 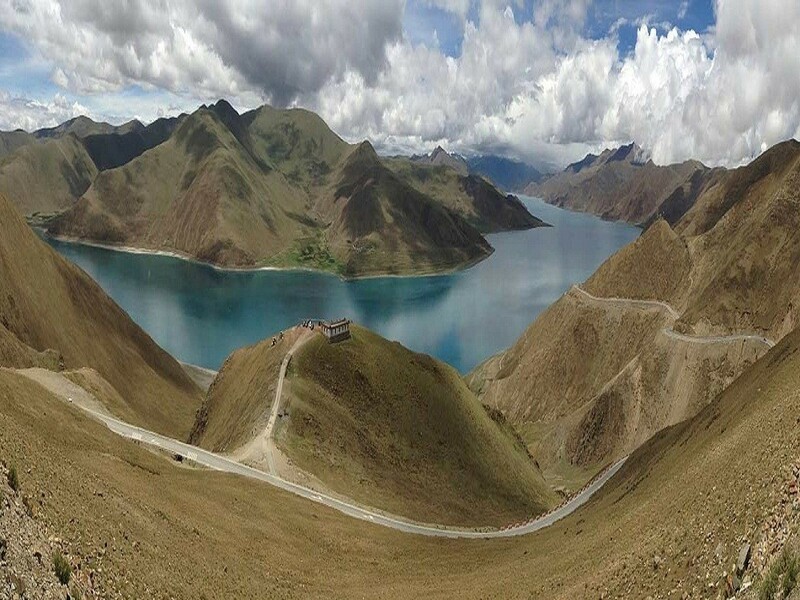 Tibet, which boasts of spectacular mountain scenery and a rich cultural heritage, is a place worth visiting. As you drive across the Tibetan plateau, you will be expertly guided around all the Tibetan monasteries, temples, monuments and important tourist sites by expert local Tibetan guide. In Lhasa, you explore the Potala Palace, Sera Monastery, Norbulingka, Jokhang Temple, Drepung Monastery and the busy Barkhor Square. Leaving Lhasa on a 4WD, you will be driven past picturesque Tibetan settlements where nomadic herdsmen can be seen wandering across the wide arid plateau. 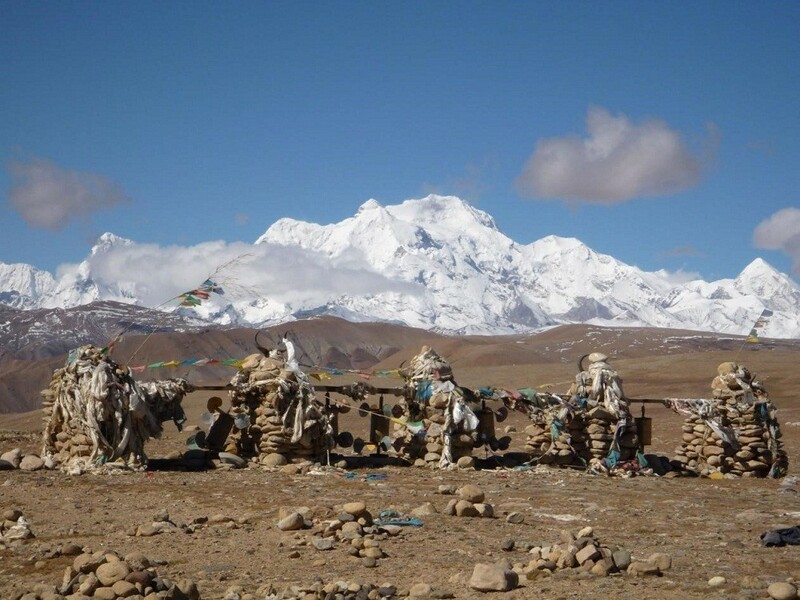 This overland journey takes you over several high mountain passes with spectacular mountain views, including those of the majestic Mount Everest, Cho Oyu, Makalu, and Shishapangma. Your adventure tour continues to the historic cities of Shigatse and Gyantse. As you explore the ancient monasteries, forts, and citadels you get an insight into the rich Tibetan culture and history. As you leave Zhangmu and cross the Friendship Bridge, you enter Nepal. Your overland tour comes to a finale. Day 01: Arrive Lhasa (3660m). Day 03 : sightseeing in Lhasa. Day 04 : drive to Gyantse (3950m) 261 km. Day 05 : sightseeing & drive to Shigatse (3900m) 90km. Day 06 : sightseeing & drive to Shegar (4050m) 244km. Day 07 : drive to Zhangmu (2300m) 181km. Day 08 : drive to Kathmandu (1400m) 123km.